Bay Area Day of Remembrance This Sunday in S.F. You are at:Home»English»Nor Cal News»Bay Area Day of Remembrance This Sunday in S.F. 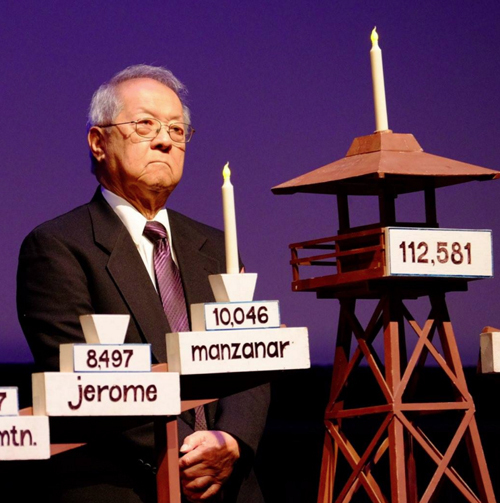 SAN FRANCISCO — “Bridging Borders: Carrying the Light for Justice” is the theme of Bay Area Day of Remembrance 2019, set for Sunday, Feb. 17, from 2 to 4 p.m. at the AMC Kabuki 8 Theatre, 1881 Post St. in San Francisco Japantown. Day of Remembrance marks the anniversary of the signing of Executive Order 9066 by President Franklin D. Roosevelt on Feb. 19, 1942, which led to the mass incarceration of Japanese Americans. The program will draw parallels between the events of 77 years ago and today’s political climate, specifically the current administration’s treatment of immigrants. The event also marks the 40th anniversary of Day of Remembrance events organized by the Japanese American community. The keynote speaker will be Rev. Deborah Lee, executive director of Interfaith Movement for Human Integrity. The Clifford I. Uyeda Peace and Humanitarian Award will be presented to Carole Hayashino, who was one of the organizers of the first Day of Remembrance in 1979. More recently, as executive director of the Japanese Cultural Center of Hawaii, she was instrumental in the preservation of the Honouliuli Internment Camp site on Oahu. The emcee will be Mike Inouye of NBC Bay Area News. A reception will follow from 4 to 6 p.m. at the Japanese Cultural and Community Center of Northern California, 1840 Sutter St. Suggested donation: $8. All are welcome.